Thanks again to Mark, head of the Centre of Altitude Training “himaxx Berlin” (www.himaxx.de), and to WTEK, I had the opportunity to make an interesting comparison between different heart rate monitor sensors. Nowadays this kind of sensor is widely used in sports at every level, helping to track important parameters and to calculate some interesting stuff like training load. The leading actors of this post are the Garmin HRM2-SS, the Polar T31 and the WTEK, in its HS-2+ and HS-1C versions. 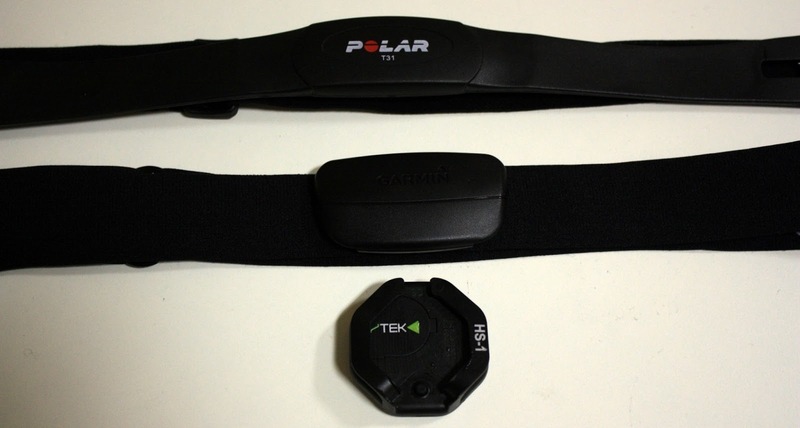 The three sensors tested: Garmin, Polar and WTEK (click to enlarge). 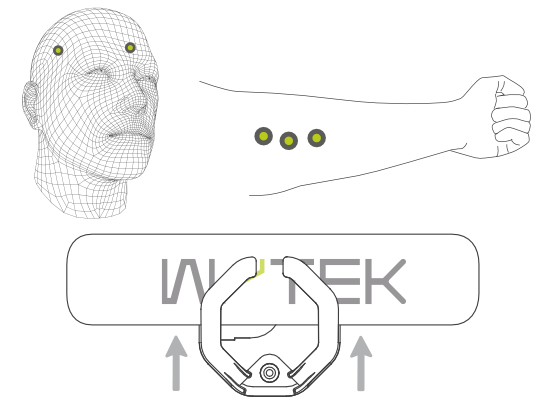 Apart from the well-known chest-belt technology (Garmin and Polar), I’d like to do a small introduction about WTEK sensor’s working principles. This interesting transducer is a photoplethysmograph, a complicate word for a simple function: it illuminates the skin and subsequently measures the changes in light absorption due to the pulsatile component of the cardiac cycle. In other words, it can measure the differences in blood volume, identifying this way the heart rate of the subject. This is an interesting feature, since the sensor can be applied to the forearm or to the forehead, simply using a sweatband as a support. How to fit the WTEK sensor (click to enlarge). While the WTEK HS-2+ sensor is compatible with all the ANT+ devices, the HS-1C just supports a specific communication protocol with a WTEK C100 watch. And since the C100 doesn’t have (yet) an internal memory, I needed to make a video recording of the HS-1C data in order to save them for analysis. 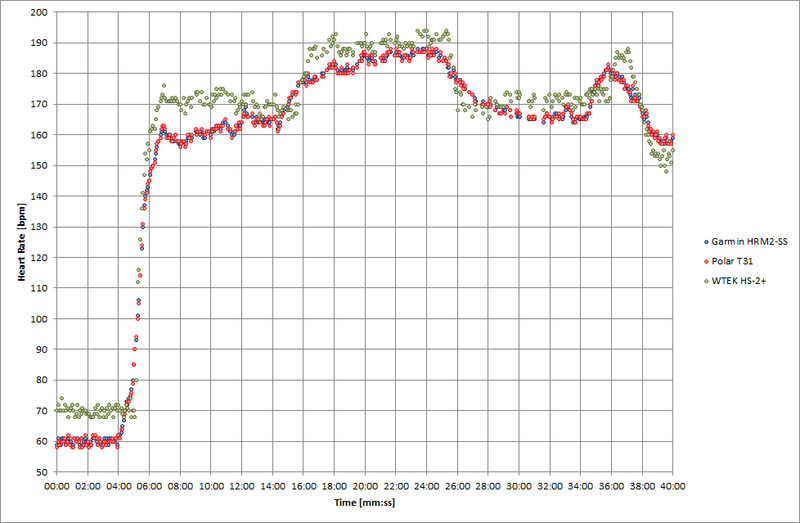 However, I found easy to record HS-2+ data on my Garmin Forerunner 210 watch (even if the sensor must be fitted on the same arm of the watch, to avoid communication problems). The altitude chamber, for the occasion set to sea level, before and during the test. I am wearing a wristband on my left forearm to support the WTEK sensor (click to enlarge). 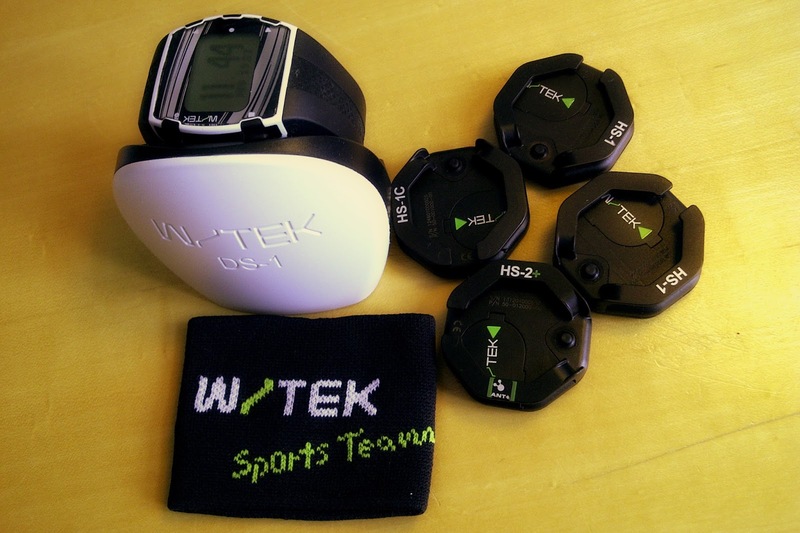 The WTEK C100 watch, its charging station, a sensor and a wristband (click to enlarge). The protocol was very simple: after a 4-minutes acquisition while sitting, I ran 36 minutes with some speed variations and some constant pace minutes. 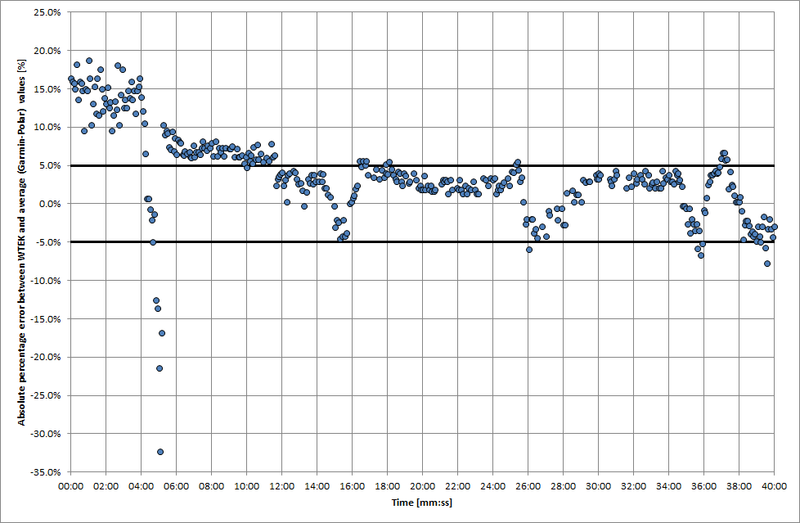 In the following graph the values are plotted (I registered WTEK data every 5 seconds). Heart rate data (click to enlarge). an overshoot (both negative or positive) always occurs when heart rate changes quickly, for example during interval training or hill repetitions. usually the error causes an overestimation of the HR values (a dangerous underestimation happens very rarely). Absolute percentage error calculated between WTEK and the average of Garmin and Polar values (click to enlarge). Concluding, if we assume that chest belts HR monitors give “true” values (which is obviously not true), WTEK sensor is a comfortable alternative for people that can’t stand traditional sensors. The performances detected are sufficiently accurate for amateur sports people, especially for those who want to monitor constant-speed sessions. The WTEK products tested (click to enlarge). Here you can find a list of my running-related posts. Now shut down the notebook and have a run! Runner’s performance evaluation – Part 1: the VO2max. Runner’s performance evaluation – Part 2: Carbs, Fats and Proteins as Energy for living. Runner’s performance evaluation – Part 3: Energy expenditure during running. Motivation for training: two inspirational speeches by John Doman. Can the Kinematics of arm movements be trained to improve Running Economy? My 2011 in numbers – Happy new year! 24th Lauf im Britzer Garten: a good pre-season test. BIG 25 Berlin 2012: a new World Record! I'd be curious how well it 'stayed put' for you. In my testing, I found that it could very easily fall out of the little fabric holder. What an honour, thanks for commenting! Talking about the sensor, I found it quite comfortable, even if I have no problems with “standard” chest belts. It always stays in position, even when sweating is massive (indoor altitude simulation workouts). Dear Ray, I am happy to hear you. We added a new size of the armband more tight for people that need it. That's nice to hear, maybe I simply got the tighter one. It definitely works.